Feetology is all about your feet. Your feet play a very important role in helping you to move around, to walk, run, play and work. That is why feetology exists, to keep your feet functioning at their very best. Our clinic is conveniently located in Victoria Point to service the surrounding suburbs including Cleveland, Mount Cotton, Redland Bay, Sheldon, Thornlands and the Bay Islands. 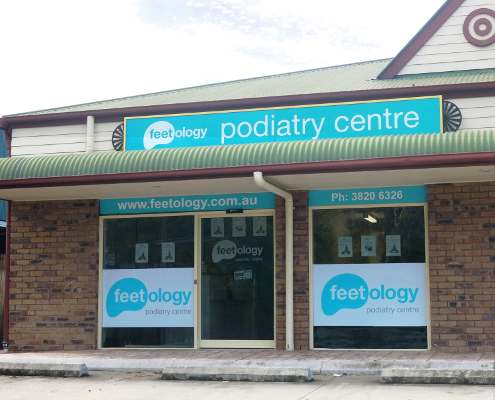 Feetology started out as Redlands Podiatry in 2006. It started in a small single room clinic operating 2 days a week in Victoria Point and has since progressed through two growth stages that has resulted in our current clinic with a team of 3 podiatrists. We take great pride and helping around 700 patients per month, keeping them on their feet and doing what they love.